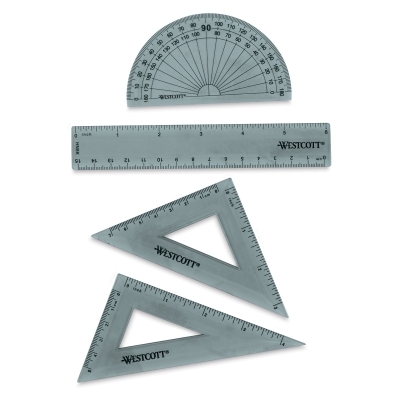 Contains an inch/metric ruler, an 180 degree protractor, plus 45 degree and 60 degree triangles. Clear plastic, with legible black markings. In plastic pouch. Sizes up to 12".